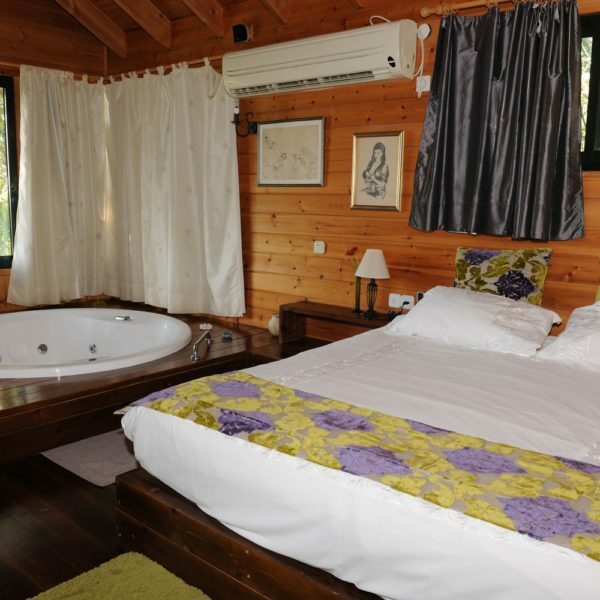 At the heart of a magnificent well-kept blooming garden stretching over about 10 acres, stand the three Maof Ha’Tzipor Cabins, suitable for couples and families. 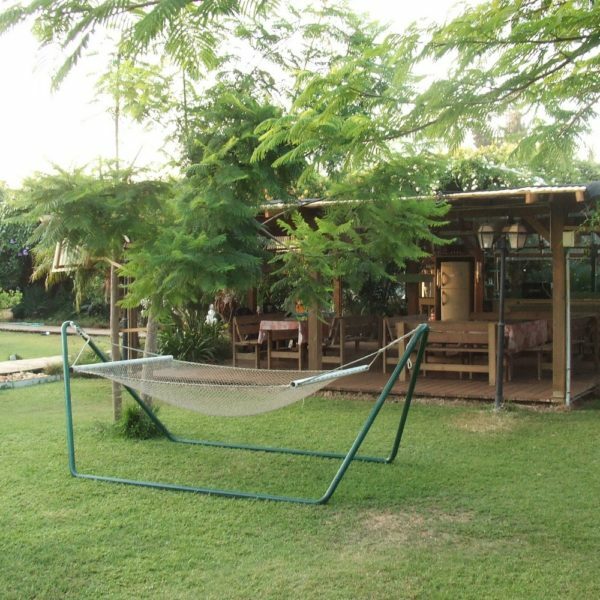 בAn ornamental pool is set in the center of the garden featuring plenty of hammocks, swings and lounge chairs. 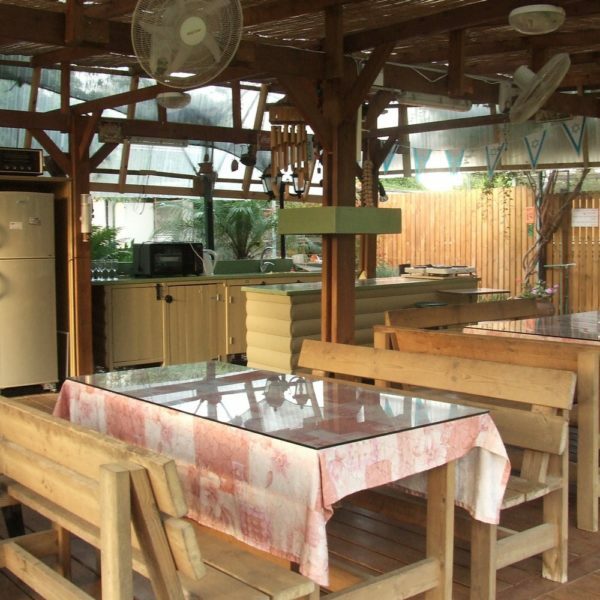 Wooden walkways winding among the cabins, lead also to the children’s play room and the accessorized kitchen featuring a water cooler, stove, refrigerator and pots and pans for cooking. A juicer stands on the counter, alongside a bucket full of oranges from the orange trees in the complex. 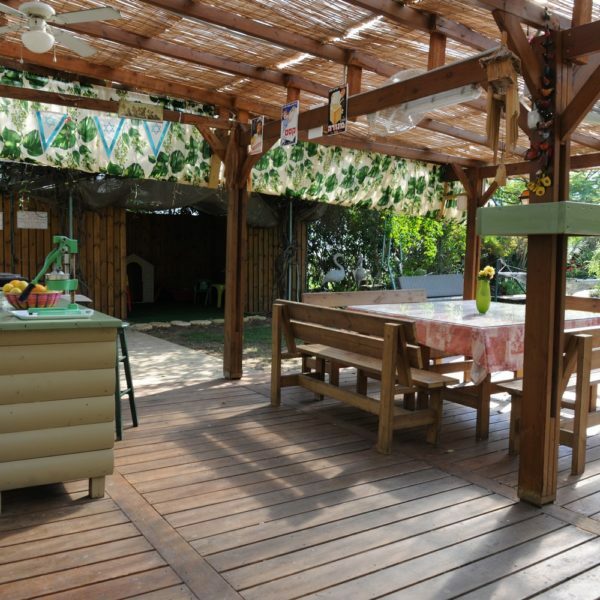 Guests also have at their disposal a ping pong table, a soccer court, animal corner and a vegetable garden, a barbeque corner and a large wave pool. 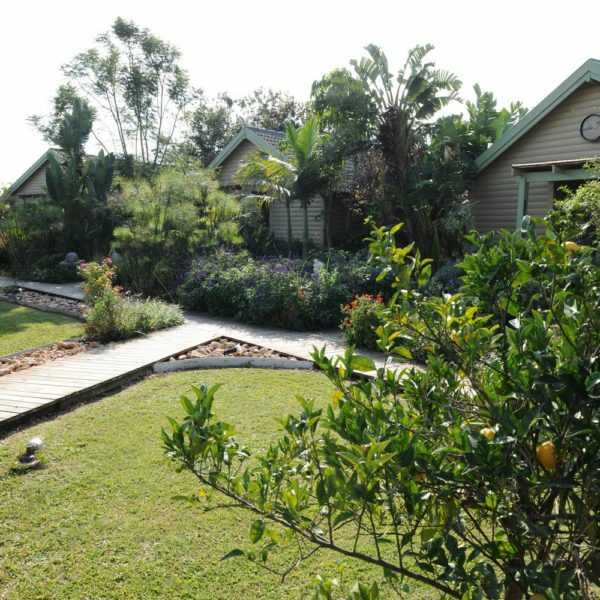 The garden is well-kept and captivating – bird of paradise, papyrus and a bush blooming with flowers in deep purple, geranium and Rangoon creeper are only some of the vegetation turning this place into a little piece of heaven. Flocks of birds fly across the sky towards Kibbutz Evron’s adjacent water reservoir, hence the name ” Maof Ha’Tzipor ” (Bird Flight). Goldfinches, pelicans and hoopoes are easily recognized. The weathercock spinning in the wind completes the pastoral picture. 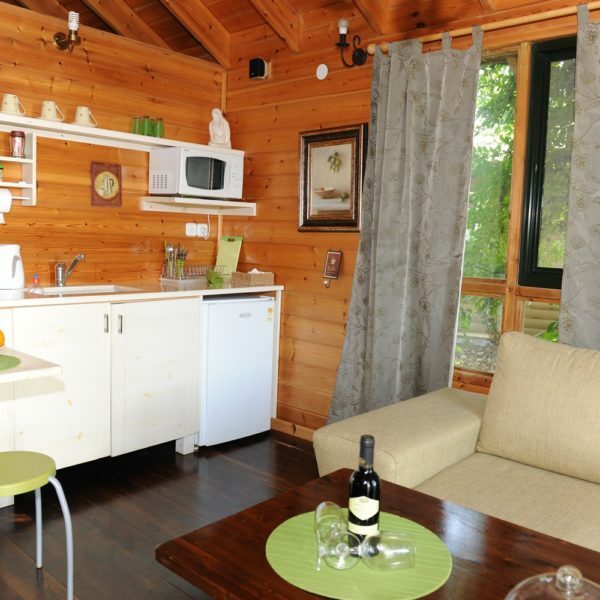 The cabins are identical and built like a loft and are well-kept and spotless. 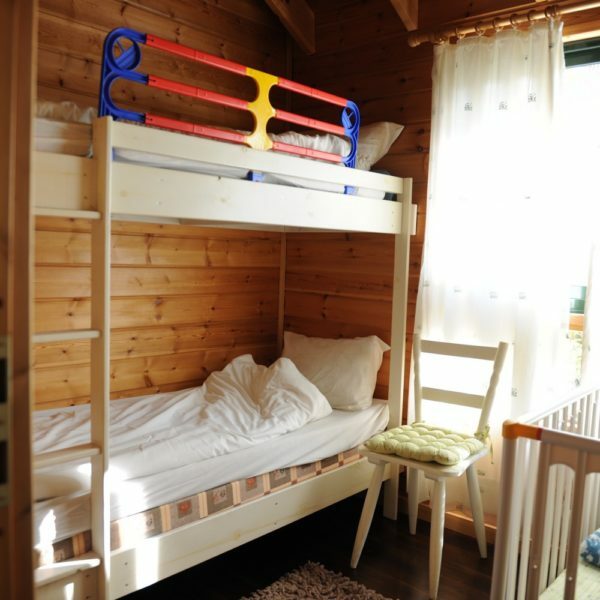 Each one has an especially wide double bed, a hot tub, a sitting area and a two-seat swing, a television with an LCD screen, a home theater system and a surround system and free of charge internet. The accessorized kitchen also has an espresso machine. 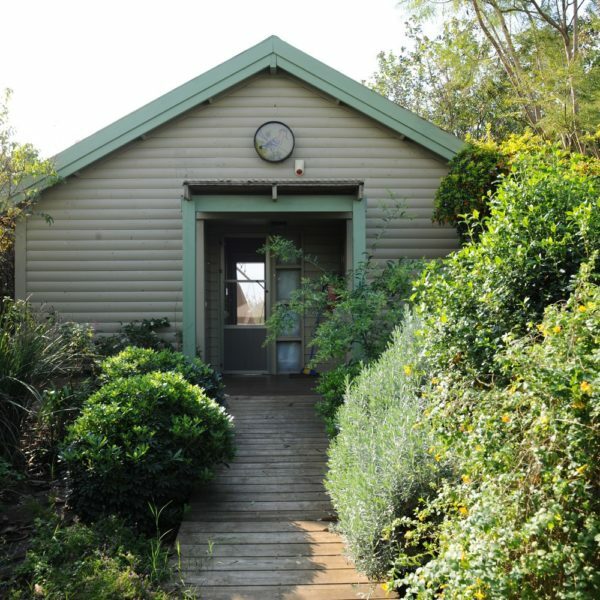 Hospitality here is generous and wholehearted and guests enjoy fruit, cookies, herbs for tea, wine, cake and chocolates. 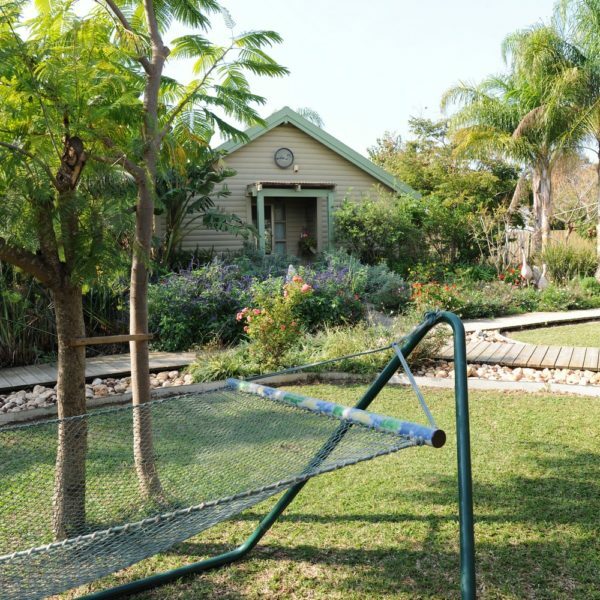 The yard is beautiful and well-kept and lemon, pomelo, fig and loquat trees grow in it. 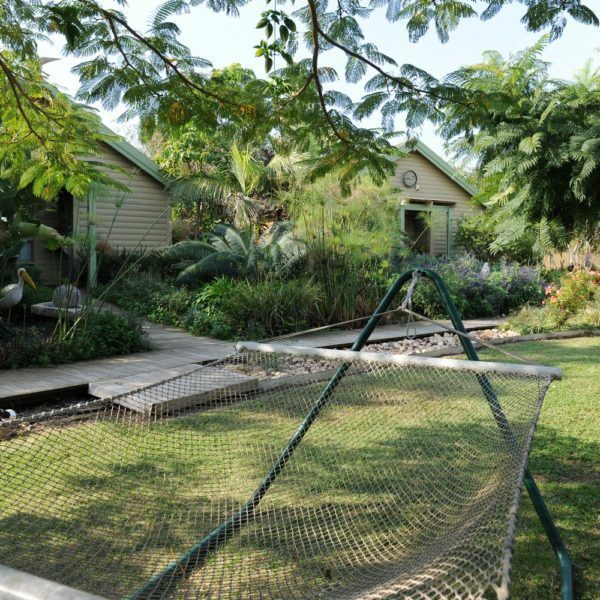 Guests are invited to pick the trees, use the awing or stretch on the lounge chairs read a book and observe the birds flying in the sky.